Lahore School of Economics invited Mr. Adeel Anwar, Head of Organizational Development at Warid to deliver a lecture on interviewing skills on March 25, 2013. Mr. Anwar started by explaining the difference between skill and competency. He advised the students to display variety of competencies in their interview in order to leave a good impression. The speaker said that creating a competency was an investment by an organization and in return it wanted the employee to deliver quality. The guest touched upon the competencies that were pre requisite for entering any organization. The list included integrity, fair mindedness, congenial personality, ability to cope with conflicting point of views, function under pressure and demonstrating discretion. The speaker said that the interviewee should keep in mind the examples of incidents where he/she had displayed these competencies and should always share these incidents with the interviewer when asked. The speaker advised the students to always keep in mind their areas of improvements and they should try to work towards making that weakness their strength. The guest also discussed the hard skills required at entry level. In this regard he threw light on computer proficiency, communication skills, analytical skills and knowledge of industry. 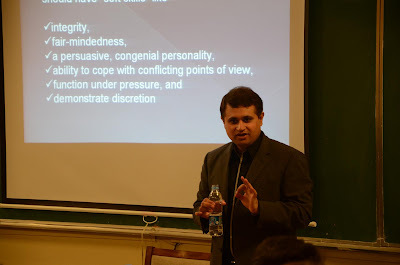 Mr. Jawad Gilani, Head of Learning and Development Central, Habib Bank Limited (also an alumnus of the Lahore School and has also taught at Lahore School for a little while) came to Lahore School of Economics and gave a lecture on Interviewing Skills to the students of BBA IV on March 13, 2013. 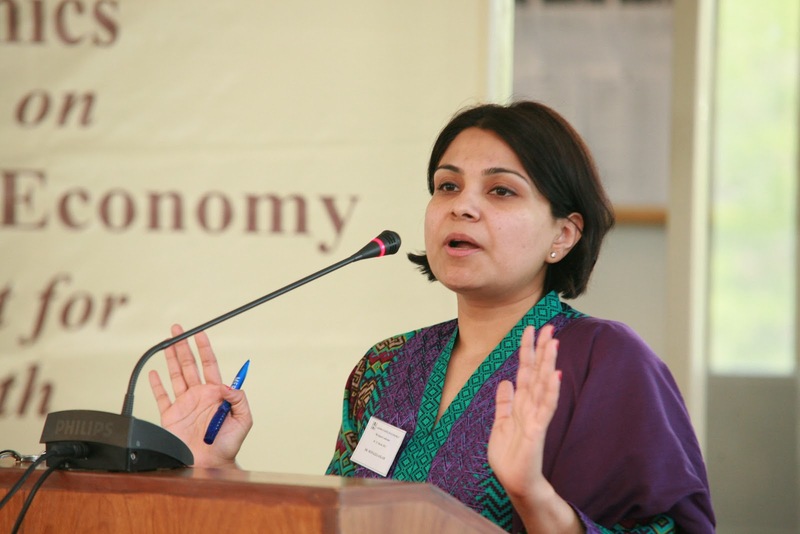 Microinsurance in Pakistan is still in its early stages. More than half of current microinsurance policies in Pakistan are being offered through the Benazir Income Support Program, with the remainder being offered in conjunction with microcredit services offered by microfinance institutions (MFIs), banks (MFBs), NGOs, and the rural support programs (RSPs). 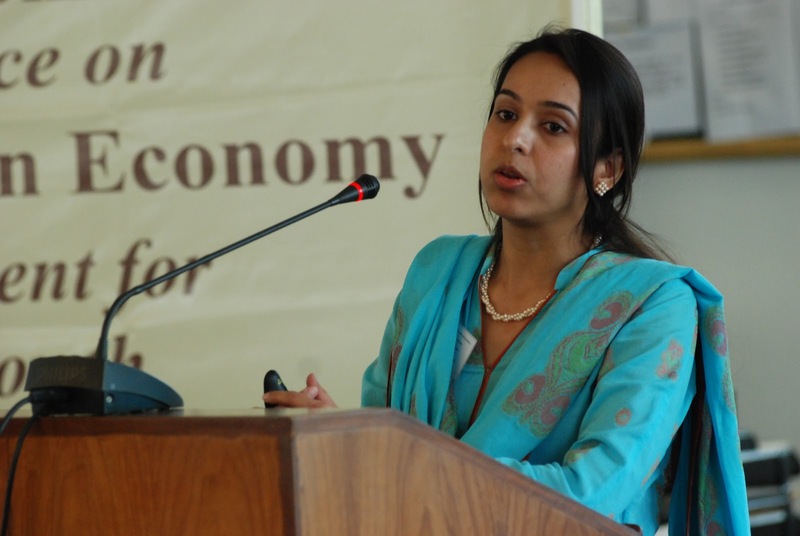 BISP’s life insurance policies for breadwinners currently cover 4.1 million households. The policies offered through the microcredit sector are mainly credit-life policies, which cover loan balances in the event of the borrower’s death. In addition, small health insurance policies covering hospitalization is also offered by some lenders, principally the rural support programs, to the borrower and (sometimes) their spouse. As health costs and deaths in the family rank among the most important economic stressors that households face, it makes sense that microinsurance should first make inroads in these areas. There are currently small pilots in agricultural microinsurance, but it will be some time before these products will mature. It is difficult to say what the impact of microinsurance has been in Pakistan, since rigorous evaluations have not been conducted to date. What we do know is that utilization has been low, but gradually increasing as households become more aware of the coverage that they have. In the short to medium term, microinsurance outreach could be extended through offering health insurance coverage to the entire household of microcredit borrowers, and by offering microinsurance to all members of the rural support programs, rather than only its borrowers and spouses. Partnering with mobile phone operators for payments could reduce the transaction costs. 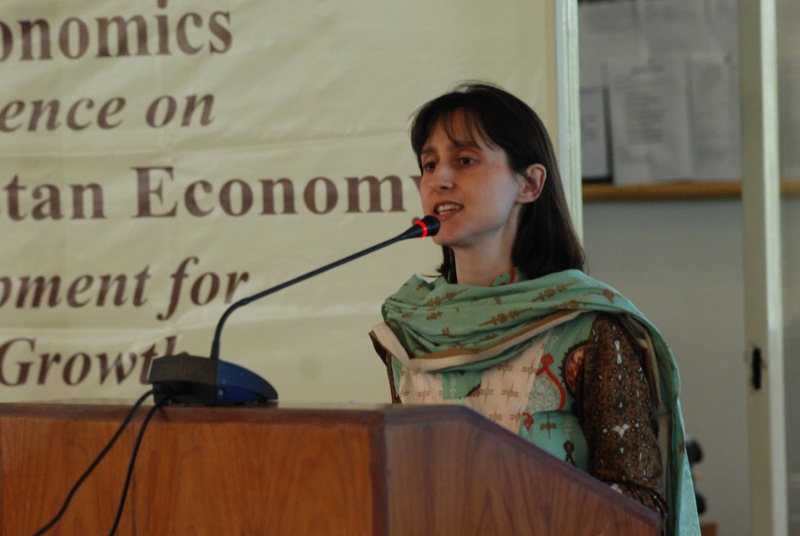 Provinces could use the existing database of households and poverty scorecards executed by BISP to target subsidized microinsurance policies to poor households above the BISP threshold. Pakistan has launched a far reaching social protection programs. The federal government’s Benazir Income Support Program has, at its core, an unconditional cash grant for the poorest households. Responding to the concern that this runs the risk of creating a large pool of permanent government handouts, the federal government has also launched an ambitious skills development program. 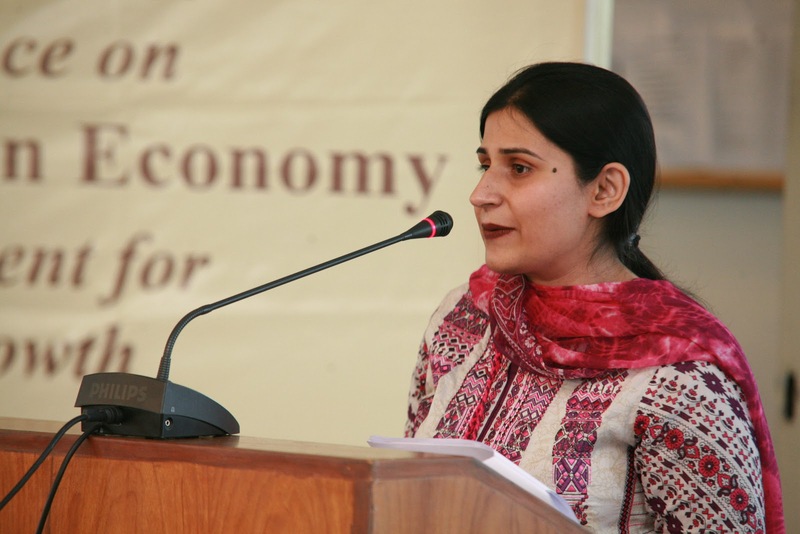 At the provincial level, the government of Punjab is implementing skills development as social welfare in the four poorest Southern Punjab districts. The paper discusses the structure of the two programs, their success at reaching the poor and the monitoring challenges to assess their overall effectiveness. The UNDP’S Human Development Index (HDI) has been employed widely for focusing on the nexus between the human development and economic growth. The index’s simplicity in characterizing development as a composite of achievements in health, education and income has made it a particularly useful tool for advocacy purposes and in de-emphasizing a growth-centric view of development. HDI’s has also invited much criticism of two broad categories: (i) choice of development dimensions, and (ii) its functional form. In response the HDI has undergone many revisions since its inception in 1990. In the latest revision, UNDP (2010), the HDI has undergone major changes to the included indicators and its functional form. Klugman et al. (2011) and Lustig (2011) explain in detail the rationale behind the new HDI, while Ravallion (2010) offers a critical view. The 2010-HDI, however, basically keeps the same three-dimensional structure. To address a major criticism that the HDI neglected within country inequality, three additional indices are introduced: the Inequality-Adjusted HDI, the Gender Inequality Index, and the Multidimensional Poverty Index. This paper explores the impact of increasing openness and connectivity of rural areas to the outside world on health outcomes and awareness levels. 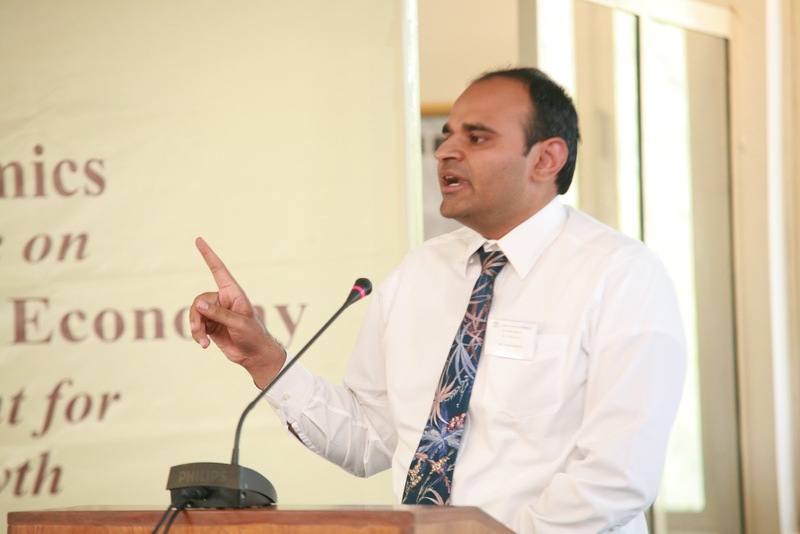 The focus is on in rural Pakistan with outcomes being examined over a fifteen year period. In particular, the paper studies whether improved access to markets for rural areas through a widening (and/or upgraded) road network has had a positive impact on child nutritional status as measured by height-for-age and incidence of illness. Moreover, the paper also studies if awareness regarding health practices, including immunization and breastfeeding has improved as accessibility to villages has bettered. 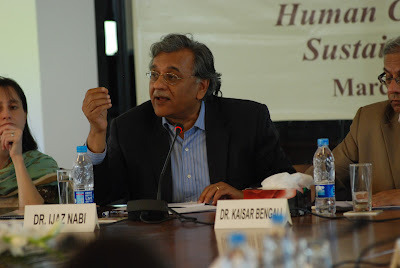 The analysis uses the IFPRI-PIDE panel data where the IFPRI data covers the 1986 – 1991 period while the PIDE Pakistan Rural Household Survey was conducted in 2001-2002 and 2003-2004. I use the panel aspect of the data to isolate inter-generational changes in health-related outcomes. I estimate a linear regression to examine the effect of increased access to urban markets. I also estimate a family fixed effects model so as to inspect differences in health outcomes at the intra-household level. The results suggest that as roads improve and rural markets become more integrated with urban ones, health outcomes witness a positive affect at the aggregate level with differences at the intra-household level, particularly those between the genders, declining. Technology (ICT) provide exciting opportunities to leverage technology to improve management. This paper presents a detailed qualitative and quantitative look at the institutional context in which such interventions in the public health sector in Punjab would be trialed in. First, we describe the structure and management of primary healthcare facilities. Next, we describe selected results from a survey of a representative sample of Basic Health Units (BHUs), and identify some key issues. Then, we report officials’ responses to the question of how services might be improved. Finally, we discuss some of these responses and conclude. The Millennium Development Goals provided countries with well-rounded objectives for achieving human development over a period of twenty-five years. Pakistan is not on track to achieve health-related goals. With the eighth highest newborn death rate in the world, between 2001 to 2007 one in every ten children born in Pakistan died before reaching the age of five. Similarly for women, there is a one in eighty chance of dying of maternal causes during reproductive life. Compared to other South Asian countries, Pakistan currently lags behind in immunization coverage, contraceptive usage and infant and child mortality rates. The share of out-of-pocket expenditures of total health expenditures in Pakistan was one highest in the world in 1998, and the situation has not changed much since then. 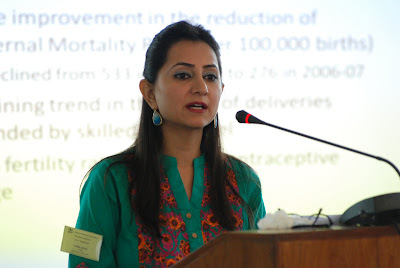 Pakistan is going through an epidemiological transition of a double burden of communicable diseases combined with maternal and perinatal conditions, as well as chronic, noninfectious diseases. The landscape of public health service delivery presents an uneven distribution of resources between rural and urban areas. The rural poor are at a clear disadvantage in terms of primary as well as tertiary health services. Moreover, they also fail to benefit fully from public programs such as immunization of children. There has been a massive increase in the role of the private sector in the provision of service delivery. The poor state of public facilities is a contributing factor to the diminished role of public health facilities. After the 18th Amendment of the Constitution, health as a sector has been devolved to the provinces, yet the distribution of responsibilities and sources of revenue generation between the tiers remains unclear. There is a need for a multipronged national health policy that tackles the abysmal child and maternal health indicators, along with reducing the burden of disease. Moreover, it is imperative to improve the provision of primary as well as tertiary health care with a strong system for monitoring in place, along with the provision of social safety nets for the vulnerable. We analyse educational attainment over three generations in rural Punjab, Pakistan to determine if the fruits of post-independence development have translated into comparable rates of educational and social opportunities for all strata in the village economy. We show that differences in class status institutionalized at the time of colonial village settlement lead to a sustained divergence in the rate of intergenerational educational mobility, with limited mobility for non-proprietary and marginalized groups compared to proprietary groups. The inter-class differences in the rate of mobility are higher in proprietary landed estates where the colonial state concentrated land rights and governance in the hands of landlords compared to crown estates that had a more egalitarian arrangement of land rights and governance. We find that the divergence in inter-class mobility is worrying, so much so that the current generation of marginalized households appears to have fallen a generation behind in terms of educational attainment even though it physically resides in the same villages as the proprietary households. The intervention of local elites is often cited as an impediment to policy implementation in many developing countries. In this paper we present a newly collected household data set from Punjab, Pakistan, which can be used to analyze how patron-client relationships affect which households get access to state-provided goods and services. We find that: (i) households report receiving active assistance both from local officials and provincial and national politicians in accessing state services and on a range of other measures, (ii) vulnerable households, such as landless and female-headed households, appear less likely to receive assistance from patrons, suggesting that patronage activity could increase inequality of outcomes, (iii) shared ‘biraderi’, or clan based kinship, between the patron and client is not associated with an increased likelihood of reported assistance from patrons, (iv) local officials and politicians tended to recommend candidates in the last election and rural households were strongly convinced that the patron knew for whom they had cast their votes for in the last election, and (v) clients from rural households meet local officials most frequently and politicians least frequently. Engel’s law, an empirical regularity observed for around 200 years, states that the share of food in household expenditure declines with households’ total expenditure. The empirical regularity expressed in Engel’s law is clearly present in existing Pakistani household income and expenditure data. 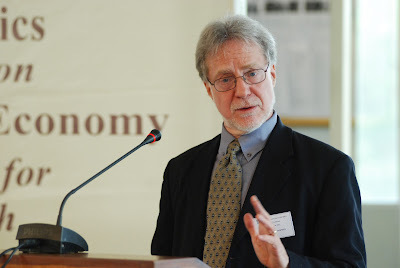 Using economic theory an ‘Engel Curve’, reflecting Engel’s Law, can be extended to allow for additional effects of a social nature, including the influence of education on welfare and considering education as the ability to purchase things. Yet to our knowledge this has not been exploited in empirical research to infer the differential impact of education on measures of household well-being across income groups and provinces. The study will address this welfare analysis gap. Our Engel curve specifications close the gap between economic theory and empirical applications critical to evaluating the effects of education on economic well-being. The results show that net primary and matriculation education enrolment ratios may bring a significant improvement in the welfare of people. There is a need to specifically redirect resources to Balochistan where access to educational opportunities is rather low. The access to educational opportunities should be increased in Sindh and KPK as well. Such steps are required to bring inter provincial harmony in Pakistan. The people fall in the lowest two income groups worse off in terms of access to educational opportunities from 2008 to 2011. So efforts should be stepped up to enhance the access to educational opportunities at primary and matriculation levels across these lowest income groups. These informed predictions can guide policy advisors on where to concentrate efforts and reduce economic distortions. 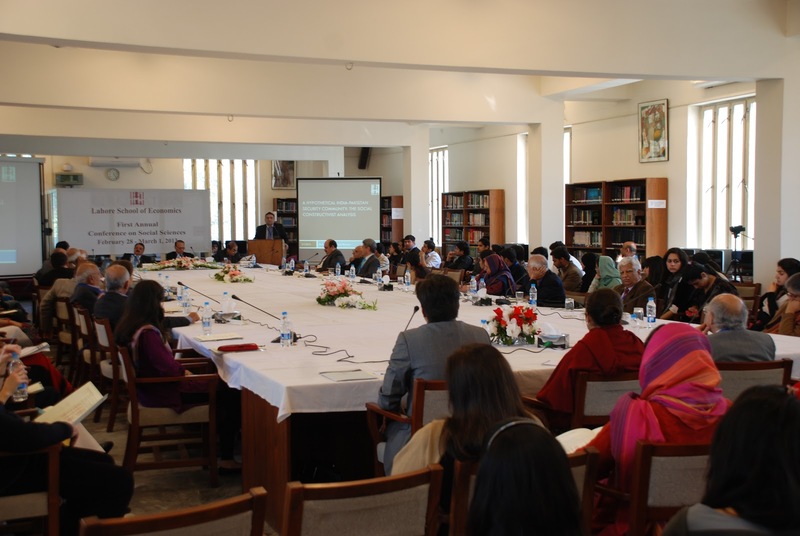 Our Engel curve oriented research approach is in line with the theme of conference “Human Capital Development for Sustained Economic Growth”, as focused efforts can energize the citizens of Pakistan and re-track the economy on a sustainable path in the long run. Does private tuition affect the learning gap between private and public schools? The Annual Survey of Education Report (ASER) 2012 shows a growing prevalence of a shadow education sector in Pakistan with 34% of private school students and 17% of public school students taking private tuition in Punjab. Further, private tuition is found to have a positive significant affect on learning outcomes (Aslam and Atherton, 2013). Keeping this in view, it is possible that private tuition rather than a difference in schooling quality is driving the observed learning-gap between public and private schools. This study uses the Learning and Educational Achievement in Punjab Schools (LEAPS) data and analyzes the individuals who switch between taking and not taking private tuition, in a fixed effects framework to quantify the impact of private tuition on learning outcomes in public and private schools. It further analyzes the shadow education market looking at who supplies and who demands private tuition. The main findings suggest a positive significant affect of private tuition on learning outcomes, specifically for public school students. For the subjects Mathematics and Urdu, the learning-gap between public and private schools would remain even after accounting for private tuition but can be bridged by providing more of such tuition classes to the public school students. In English, the learning-gap would significantly be reduced once tuition is controlled for as private tuition significantly impacts private school students’ performance in this subject but not public school students’ performance. Further, the paper finds that tuition is more of a private sector phenomenon with private school teachers more likely to supply such tuition. However, the main stream teachers that provide private tuition do not shirk during regular class hours, as is normally believed, in order to create demand for their tuition classes. In fact, tutors exert similar efforts in school as their non-tutor counterparts. Lastly, tuition is taken as a supplement to formal education rather than as a substitute for low quality formal schooling. This paper investigates the economic (i.e. labour market) outcomes of ‘training’ for individuals in Pakistan. The labour market benefits of general education have been relatively well explored in the literature and specifically in Pakistan. They point to the benefits of education accruing both from education/skills promoting a person’s entry into the more lucrative occupations and by raising earnings within any given occupation. This research delves into another angle by investigating the role, if any, of acquiring ‘training’ – technical/vocational, apprenticeship or on-the-job - to look at both these channels of effect onto economic well-being. This is done using data from a unique purpose-designed survey of more than 1000 households in Pakistan, collected in 2007. Multinomial Logit estimates of occupational attainment reveal how having undertaken training determines occupational choice. In addition, we also estimate the returns to schooling and to training. This is done separately for men and women. The results reveal that while acquiring training significantly improves women’s chances of entering self-employment and wage work (also the more ‘lucrative’ occupations), only wage-working women benefit from improved earnings through vocational schooling. While there has been improvement in schooling outcomes for girls in the decade 2001-2011, progress is uneven within Pakistan. Rural girls lag far behind urban girls and progress across provinces is uneven. The transition to secondary school, in ways much more critical for improving employability and reproductive health and other outcomes, shows even more uneven progress by province and income class. Questions about the preference for public versus private schools and the actual choice of schools available to girls in most rural areas need to be answered if we are serious about a rapid escalation of secondary school enrollments for girls. The Pakistan Integrated Household Survey (PIHS) 2001-02 and Pakistan Social and Living Standards Measurement Surveys (PSLM) 2007-08 and 2010-11 are going to be utilized to look at patterns in this transition. Access is likely to be the main driving force behind the transition to secondary level schooling. 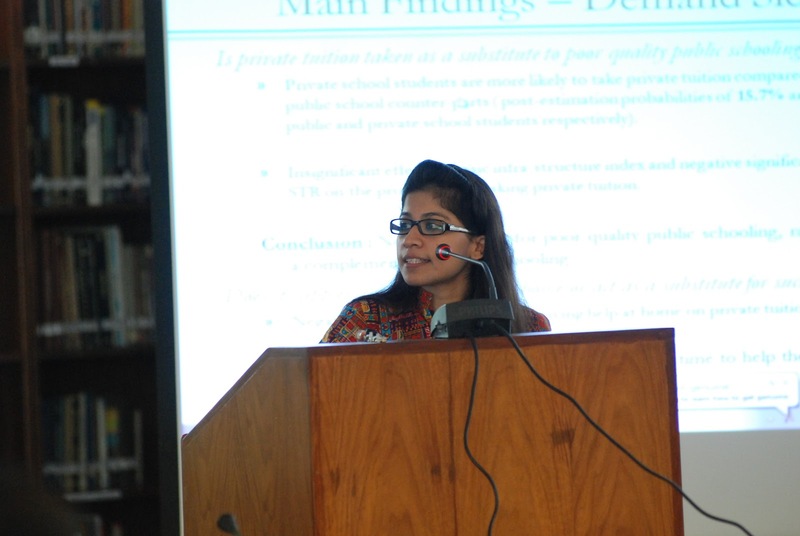 Initial findings reflect the almost total reliance on public schools for 10-14 year old girls. This suggests that private secondary schools are not an option for girls in rural areas. The next major intervening factor is household income level - public schools for girls are the only choice it seems even for the rich families. Data also suggest that girls in poor and large families are competing against their brothers and other siblings for limited resources. In this paper we present descriptive statistics on the Government School Education System in Sindh. 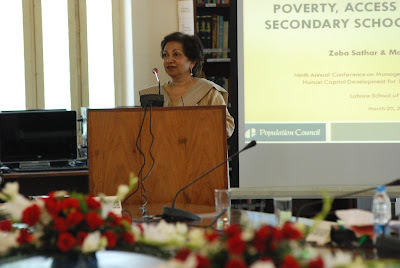 The data are obtained from latest administrative annual school census in Sindh (2011-12). 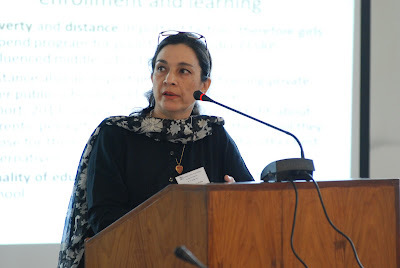 Schooling System in Sindh comprises 48,932 schools of which 47,000 are primary, middle and elementary schools making Sindh one of the densest public schooling systems in the world with almost 1.8 schools catering to 1000 people in rural Sindh. Functional schooling capacity is low however with less than 15% of these schools having at least two teachers and access to basic facilities including toilet, drinking water supply, electricity and boundary wall. Against the backdrop of this massive schooling system in Sindh we examine key trends of education outcomes using Pakistan Living Standards and Measurement Surveys (2004-05-2010-11). 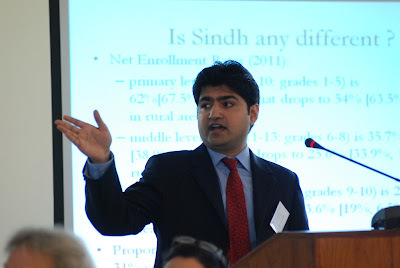 Net enrollment rates (NERs) at primary, middle and secondary levels in Sindh have at best stagnated from 2007-2011 after a sharp increase registered in 2006; this trend is similar to the rest of Pakistan. Gains in NERs vary significantly across districts with some districts performing exceptionally better than the others. Finally, we cross-validate the statistics presented in the paper using independent household and school level census data of 300 communities for an ongoing impact evaluation study in three districts of rural Sindh. 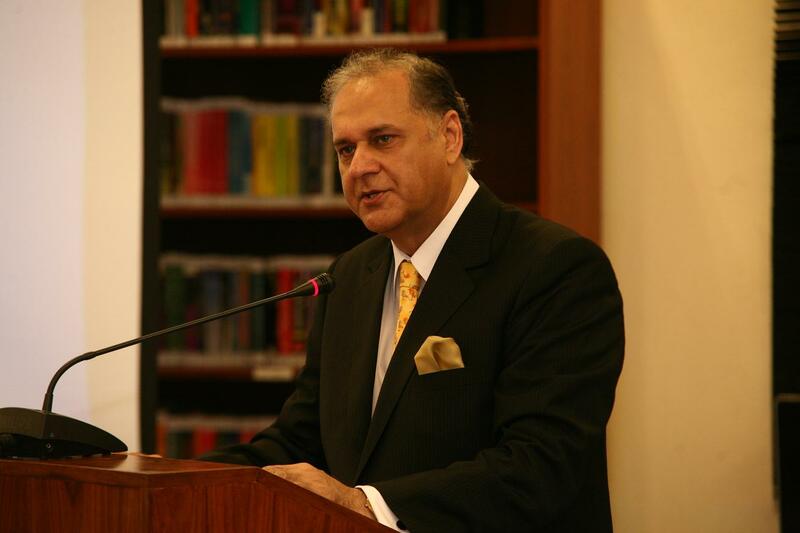 One of the most critical challenges Pakistan faces today is the need to improve and expand its education system. With important political and demographic changes taking place, greater devolution and strengthened democracy, this is an opportune moment to build a better system. Not only does the purpose of education have to be defined beyond what has been left over from colonial administrative objectives, but a much greater effort has to be invested in developing the skills and talents of the majority of the population. Punjab, Pakistan's largest province, has taken several education reform initiatives to improve education outcomes. However about a quarter of school age children are still not attending school either because they never enrolled or because they dropped out early. Low transition rates to secondary education are of special concern. Moreover, recent assessments have shown that students' knowledge and comprehension of basic subjects remains alarmingly low. Improved learning in schools is therefore another important challenge. Patterns in learning achievement in Punjab indicate the importance of school level factors, implying that a good school could make up for other regional and socio-economic disparities. Better quality schools also attract more students from the poorest families, because when parents expect better returns from education, the time and resources spent on schooling becomes worthwhile. This paper will review the extent to which critical gaps in achievement levels and other educational outcomes have been addressed by past policies and current reform programs. Whether to provide services by the public or the private sector has been at the center of debates within governments and those in the international aid industry for decades. Unfortunately, this debate has often been cast in terms of absolutes with the private sector either as savior or demon. Casting the issue in this light simply can’t be correct. It cannot be the case that either is appropriate for every service and with every government regardless of its capability to the exclusion of the other. In every case, policy makers need to ask “how can the government improve the well-being of citizens with the constraints and tools at hand?” Those constraints include the ability to implement and monitor policy. This paper outlines how limitations of the market can be matched to appropriate interventions by government as it actually performs, not as it is hoped to perform. This matching will, by necessity, vary with country circumstance. While pure public goods must be provided by government regardless of its weaknesses and pure private goods should generally be left to the market, most serious policies operate in between. The balance of the limitations of the sectors needs careful analysis. The welfare costs of private market failure are rarely measured and the difficulties of implementing different policies are rarely discussed let alone quantified. Policies that are sensitive to deviations from perfect implementation should be avoided in preference to those that are more robust to circumstances. Further, every policy will generate interest groups that will constrain future decisions through political pressure. 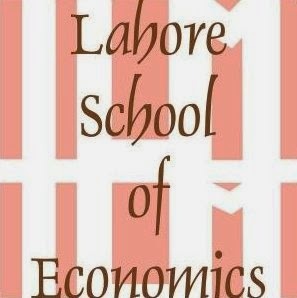 The Lahore School of Economics is organizing its Ninth Annual Conference on the Management of the Pakistan Economy on the March 20-21, 2013. The theme of this year's Conference is "Human Capital Development for Sustained Economic Growth". Pakistan continues to be critically deficient in health, education and poverty scores compared to other developing countries. Low female labor force participation also implies a huge underutilized potential. A greater focus on these issues is needed especially in the context of existing administrative, cultural and political institutions that may be perpetually leaving out poorer and more vulnerable groups from receiving public and private sector facilities. Moreover, original reform and policy designs may need to be revised as these are tested in the field. 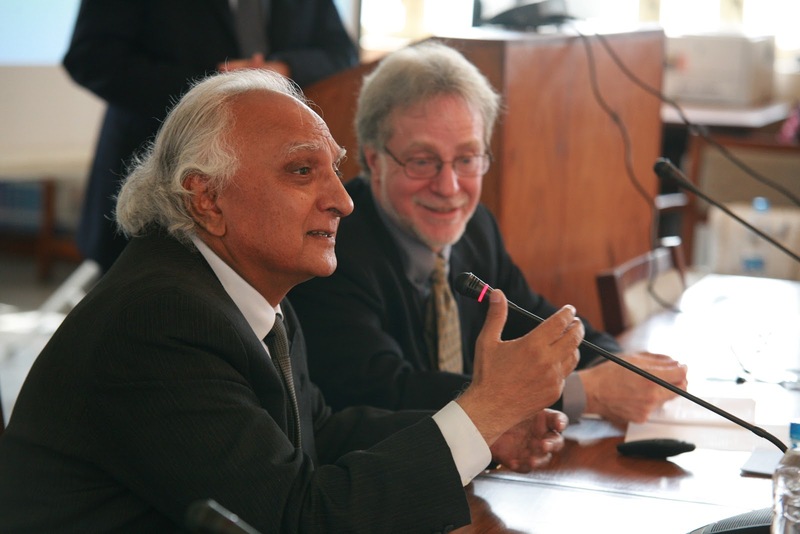 An understanding of the current state of human development and potential solutions for its improvement is therefore crucial for the country’s economic and social progress and is the topic of Lahore School of Economics’ Ninth Annual Conference. 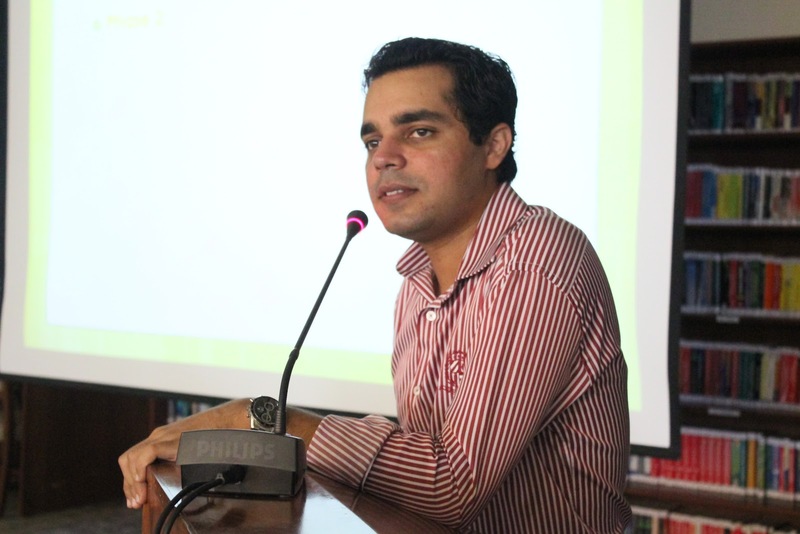 Omer Khokhar, Assistant Manager Human Resources and recruitment at Akzo Nobel Pakistan and the Lahore School alumni of 2006 visited the School on March 20, 2013 to give a talk to BBA students about resume writing and what are the expectations of the corporate world from Fresh Graduates. He explained the hiring procedure at Akzo Nobel. 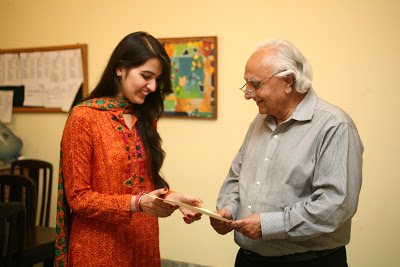 He also gave some tips on interviews and relived some of his memories from his days in the Lahore School [Tayyba Kamal]. Mr. Saad Munawer, Marketing Head Snacks, PepsiCo came to share his experiences with the students of MBA II Sections A and B on March 19, 2013. 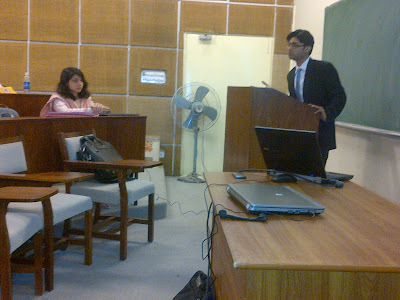 The speaker started his talk by presenting food portfolio of PepsiCo. He said that the best marketing philosophy for any organization to follow was to believe that consumer was the boss. The speaker said that marketing alone could never create value for a customer unless the whole network in an organizations worked together to produce results. Seminar on Supply Chain Management was held at Lahore School of Economics on Saturday, March 16, 2013. 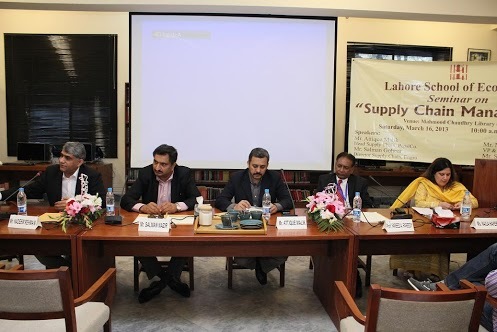 Mr Nadeem Rehmani, Vice president and Director Operations Metro Cash n Carry, Mr. Salman Nazeer, Head of Supply chain at Nestle, Mr. Salman Goheer, Director Supply chain at Engro and Attique Malik, Head of Supply chain, PepsiCo were invited to deliver lectures on Supply chain management and the growth potential of this field in Pakistan. Mr. Nadeem Rehmani introduced Metro by presenting facts and figures on sales, employees, customers and outlets of Metro. Explaining the mechanism of Supply chain, he told the students that it was all about strategic management of activities involved in the acquisition and conversion of products into finished goods. The speaker explained fundamentals of supply chain including material flows, information flows and financial flows and also threw light on challenges they had to face in managing Supply chain and how they managed to deal with them. 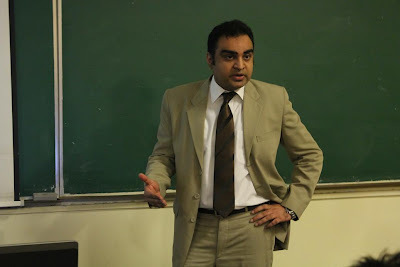 Mr. Adnan Haider, Head of Distribution, Faysal Bank came to the Lahore School to give a lecture on Wealth Management to the students of BBA on March 15, 2013. The speaker explained the meaning and fundamentals of wealth management. The guest explained the students that the basic concept of wealth management was to have an asset base for longer term. For managing assets of a client, wealth manager should thoroughly understand the investor’s profile. The manager should understand how much his client wants to save and for what purpose. The speaker threw light on the concept of Asset allocation that included investments in fixed income. The talk was very informative and helped the students to understand the crux of Wealth Management. Mr. Sirajuddin Aziz, President, Habib Metropolitan Bank came to Lahore School of Economics to share his experience of banking with the students of MBA II on March 14, 2013. The distinguished guest started with the history of banking in Pakistan and explained how banking sector had gone through different stages since 1947. 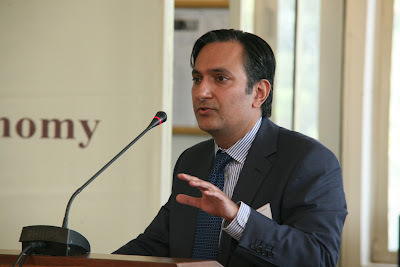 He threw light on how the sector had flourished in Pakistan over the last decade. While talking about the different areas of banking, the speaker elaborated on Consumer banking, Corporate banking, SME financing and talked about how these sectors were performing in Pakistan. 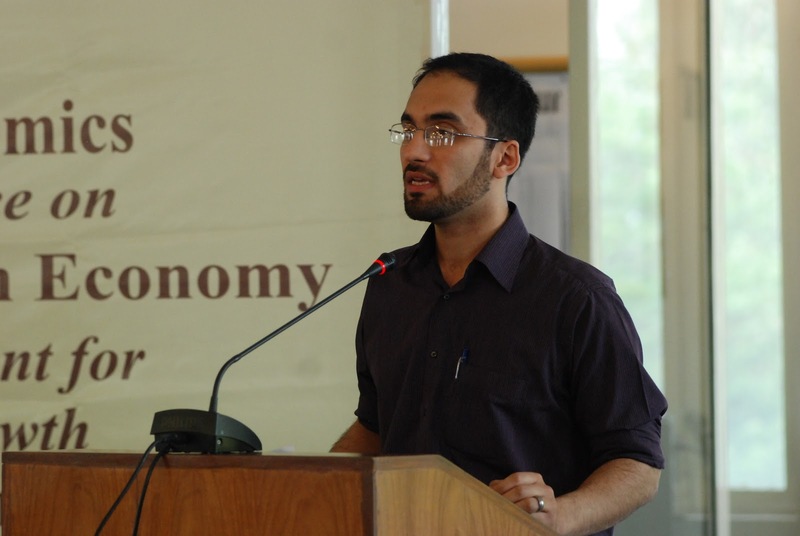 Mr. Aziz explained the students that although SME was flourishing well in Pakistan’s economy and providing employment to a large number of people, it had the highest default rate. Dr. Shahid Amjad Chaudhry, the Rector, Lahore School of Economics distributed the certificates among Lahore School students for participation in the “Study Tour to Sri Lanka” on March 11, 2013. 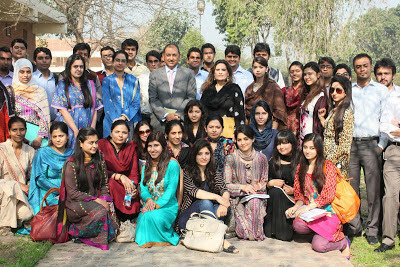 Twenty undergrad students from the Lahore School of Economics participated in a week study tour to Sri Lanka that was organized from Dec 17-23, 2012 by the University of Colombo, Sri Lanka. 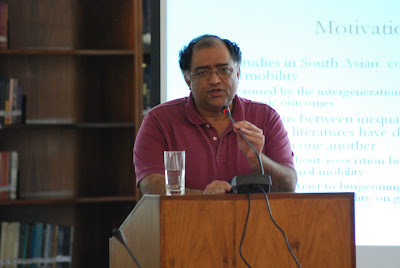 Students visited University of Colombo and University of Peradeniya, Kandy, Sri Lanka and attended some formal lectures specially arranged for the Lahore School’s students. Flux Business Fair is being organized by students of the BBA IV, Sect I, Lahore School of Economics on April 4, 2013 as a class project in Garden Cafe. The entire student body of the class has been divided in to respective departments encouraging teamwork and making them experience the realities of corporate world; Operations, Finance, Logistics, Marketing and Public Relations at 40 business stalls. These departments are given specific tasks and responsibilities by their team leaders who devise goals, strategies, and objectives and plan the tactics. With each department holding distinct and core endeavors, the efforts require utmost time and attention for Flux to become a triumph event. 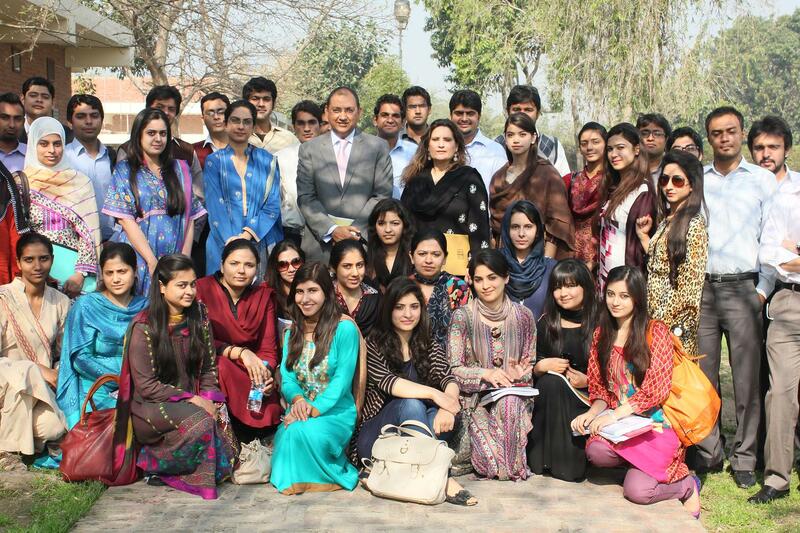 Seminar on International Marketing was conducted at Lahore School of Economics on March 09, 2013. Mr. Azfar Hasaan, CEO, Matrix Sourcing and Mr. Umer Lodhi, Director at Metro Cash n Carry were the gust speakers. Mr. Azfar Hassan gave a brief introduction of Matrix Sourcing enlightening the students about the company’s nature of business, annual sales turnover, its suppliers and clients. The speaker explained their business philosophy and the basis on which they selected their suppliers. A video clip depicting Pakistani culture, history, social and economic conditions and geographic terrains was also shown to the audience during the presentation. 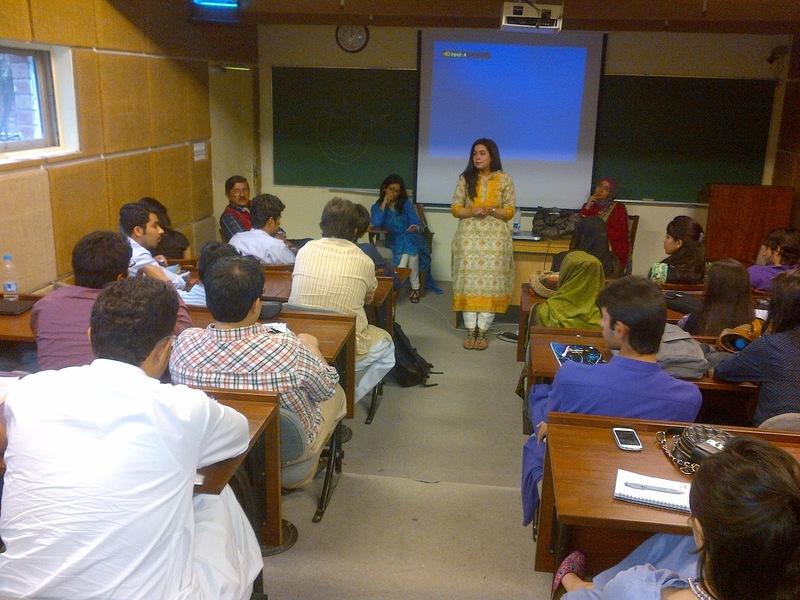 Haja Omer, Alumna of 2002 working at LUMS as an HR head visited her Alma Mater and gave a talk to BBA III class and had a very interactive session. 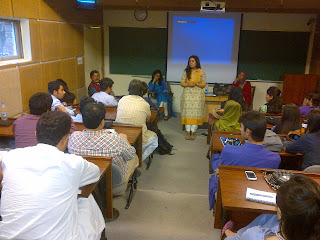 She talked about the interviewing skills and told the students difference between a good interview and bad interview. She also briefed the students about the expectations of the employer from the fresh graduates, and gave some useful tips on interviews and resume writing. 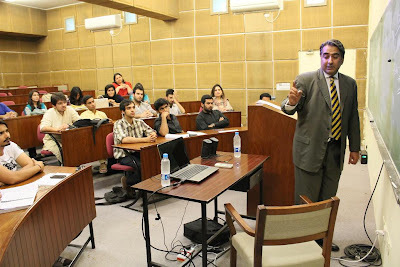 Mr Naweed Sharif, the Executive Vice President and Regional Corporate Head, United Bank Limited visited the Lahore School on March 06, 2013 to deliver a lecture on Corporate Banking. Addressing the students of MBA 1 (Banking), the distinguished guest began with the role of financial capital in generating sales in a bank. The speaker explained how revenues generated by banks are reinvested, then used to pay off the debts and dividends and then are consumed to repurchase the stocks. The speaker threw light on corporate banking hierarchy and its structure. 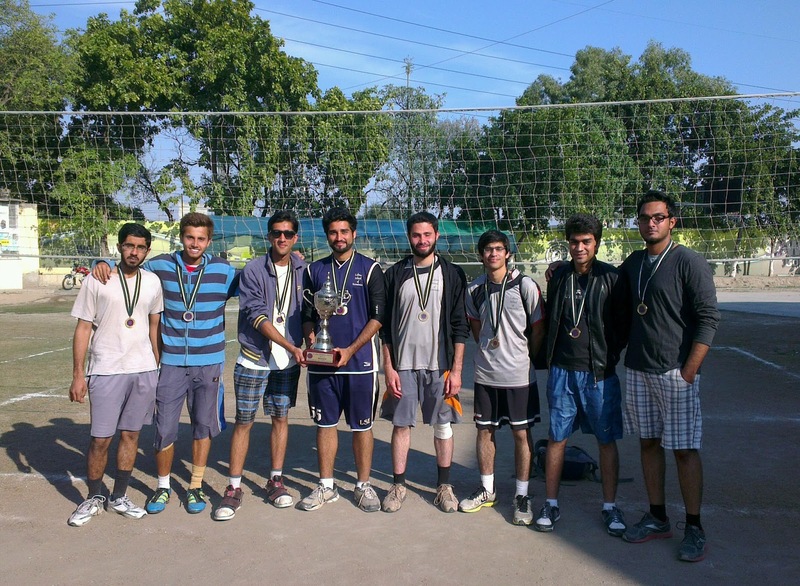 Lahore School Volleyball Team stood first; Futsal Team stood second Table Tennis team stood third in University College Lahore sports Fiesta held from February 25 to March 3, 2013. The Fiesta included four Cricket, Volleyball, Futsal and Table Tennis. Lahore School of Economics was also declared the overall winners for the male sports.